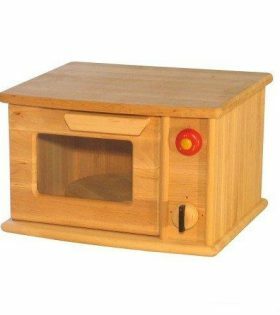 This sturdy wooden toy microwave oven from Drewart Wooden Toys, has a rotating plate and movable knobs. 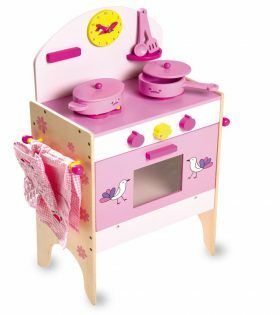 ?It makes a perfect little cooker for a home corner or an addition to your child’s kitchen play. ?Great for a small space or for use on a tabletop. 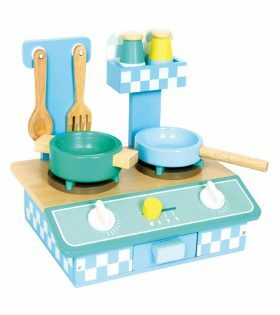 ?Cook up yummy meals for all the toys in no time! 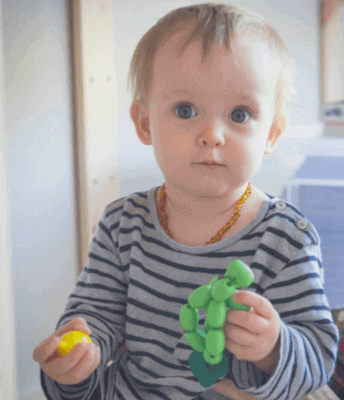 About Drewart wooden toys: Handcrafted with the greatest of care and still made in the heart of Europe. Made from European alder wood, a high quality finely-grained, sustainable hard wood. Finished with natural plant oils and non-toxic paints conforming to European EN-71 toy safety standard Beautiful design and natural simplicity that allow space for the imagination to flourish Heirloom quality for generations of children to enjoy. 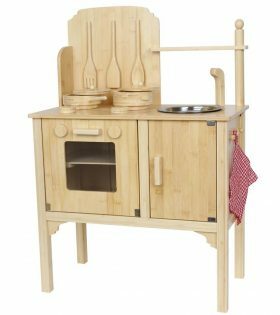 This robust foldaway kitchen is made from high-quality alder wood and folds up into a suitcase It converts quickly and easily into a briefcase for taking on journeys to other rooms or on holiday. There’s even room to store your cooking utensils inside when travelling. 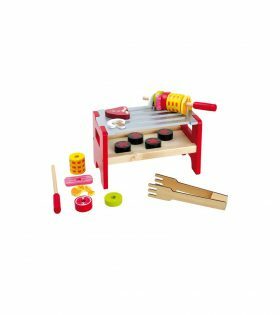 (No utensils included) Part of the Gluckskafer range of high quality kitchen play products – suitable for imaginative play at home and in schools. 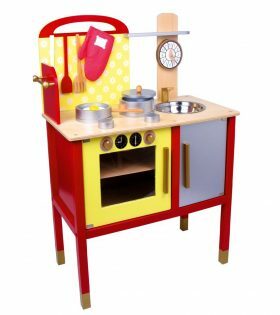 A beautiful children?s kitchen made of colourful and sturdy plywood cares for unforgettable play lessons! 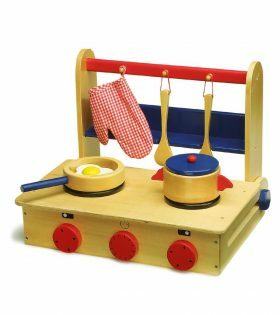 A little learning clock, pot and pan with fried egg and knobs with click noises let dreams come true! 3 little, wooden kitchen helpers and an oven glove are held in their place safely. Including a stainless steel bowl for dish washing. 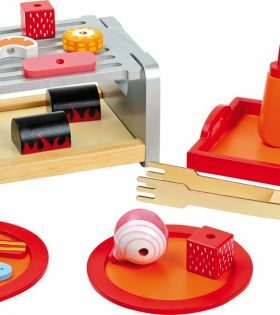 This table grill is exactly what you need to make sure the little ones get the grill fever, too! The grill and all utensils are made of wood. The cooking grid can be layed into the corresponding openings and the glowing coal pieces are waiting to heat the barbecue food. For your physical well-beeing two delicious skewers with vegetables, meat and shrimps are included. To turn the food the included tongs are a helpful tool. 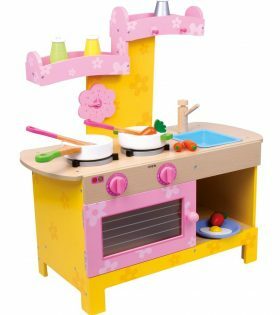 Pretty children?s kitchen with 8-pieces. Accessories ? saucepan & casserole dish with lid, oven glove, tea towel and 2 kitchen helpers. “Gas” stove with imaged flames. It also has adjustors and a strong magnetic lock on the lid, as well as a little teaching clock! 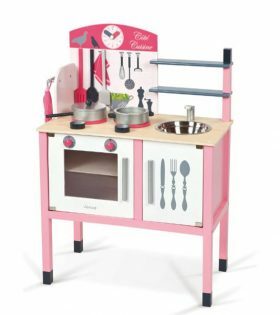 A kitchen to take with you on travels. 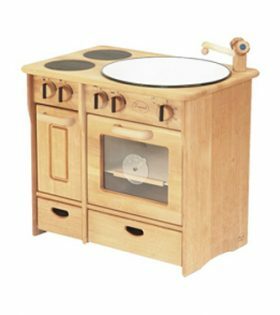 This stunning Bamboo Kitchen set from Legler comes complete with pots and pans, wooden utensils, a removable wash basis and ample storage space. This blue Kitchen Oliver set by Legler weighs about 2,4 kilogrammes, making it easy to move. 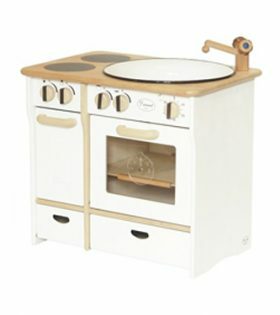 The wooden set comes with a gas-styled stove top, drawers and utensils. 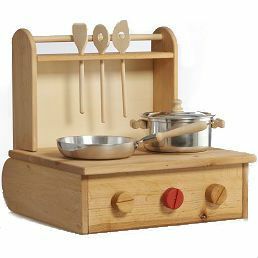 A wooden kitchen play set consisting of 10 pieces and various adjustable elements. Did you ever wondered how it would be to have a barbecue in your room? Now you can have it. 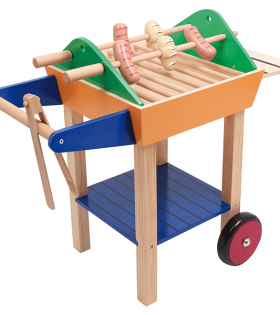 With this barbecue wooden cart you can make best barbecue ever.